Welcome back to another edition of Amazing Creatures of Magic. Like last time, the topic will be about a mythical creature even to our standards, the Uchchaihshravas! Amazing Creatures of Magic is a biweekly blog posted every other Tuesday covering magical creatures that cannot be mentioned within The Pet Corner because all creatures whether real or not, domesticated or dangerous deserve a spotlight within our hearts and minds. A magical or mythical creature will be chosen every other week and be discussed as well-roundedly as possible from the basic information of where they reside to impacts in the wizarding world. Like the last edition, the Uchchaihshravas is a mythical beast born from lores that both wizards and Muggles alike seem to believe in. This specific creature I will be discussing hails from one of the most ancient countries to this day, India, specifically from Hindu mythology. Many headed creatures are the norm in the wizarding world from three-headed dogs to the potential nine-headed hydra. But have you ever heard of a seven-headed horse? The Uchchaihshravas is a seven-headed horse with the magical ability to fly. Its elegant snow white hair and mane is said to attract the eyes of the gods both good and evil. The name can be translated to either “long-ears” or “neighing aloud”. 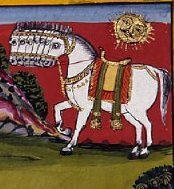 Being such a divine creature within Hindu mythology, the Uchchaihshravas has been commonly reveled as the best of horses, the prototype and therefore the King of Horses, and the prized possession to the lucky god who possesses one. At times, it is mentioned that certain gods are able to transform themselves into Uchchaihshravas. Although different writings contradict on whether the Uchchaihshravas was given to a benevolent god or a wicked god, it is generally agreed that they have very gentle personalities especially towards their owners. One myth that most ancient writers agree on is the origin of this beautiful beast called Samudra Manthan or “churning of the milk ocean”. Strange enough, this event was said to be a rare cooperation between the heavenly gods and the demon gods to create the nectar of immortality similar to that of the Ancient Greek gods. 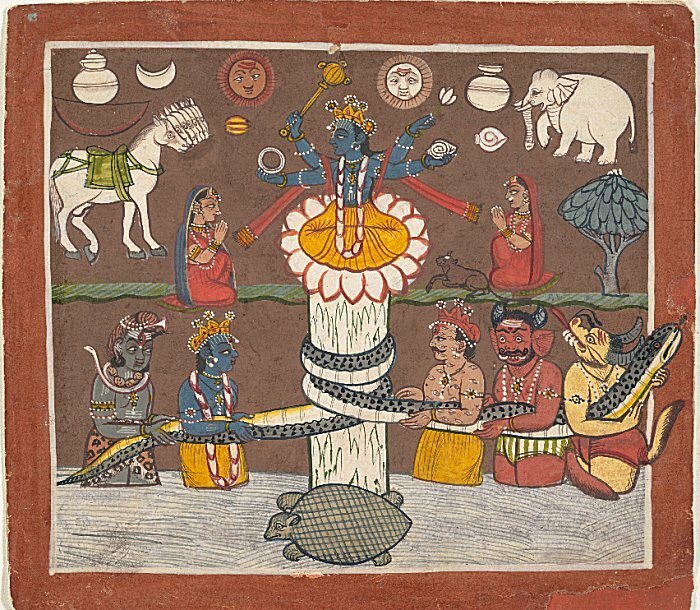 Successful, this powerful event also created numerous new life forms and powerful items such as Lakshmi, the goddess of fortune, and the seven-headed Uchchaihshravas. From here, it is debated whether the god-king Indra or the demon king Bali seized the magical horse to make their steed. Would you rather ride a Thestral or the Uchchaihshravas? sky power great article I love it! Andrew Smethwyck I would rather ride Uchchaishravas. Kerlia Seagan Loved it Hannah!! Lily Malfoy This was an awesome article, but I need someone to teach me how to pronounce it! Tanuja Potter Awesome article Hannah!